The Young and the Restless spoilers relate that It looks like Gina Tognoni and Hunter King are just as close off screen as they are on screen! The beautiful Gina, who is best known for her role as Phyllis Summers on The Young and the Restless, shared a very special “mother and daughter moment” with her on-screen child, Hunter King (Summer Newman). Here’s what you need to know. 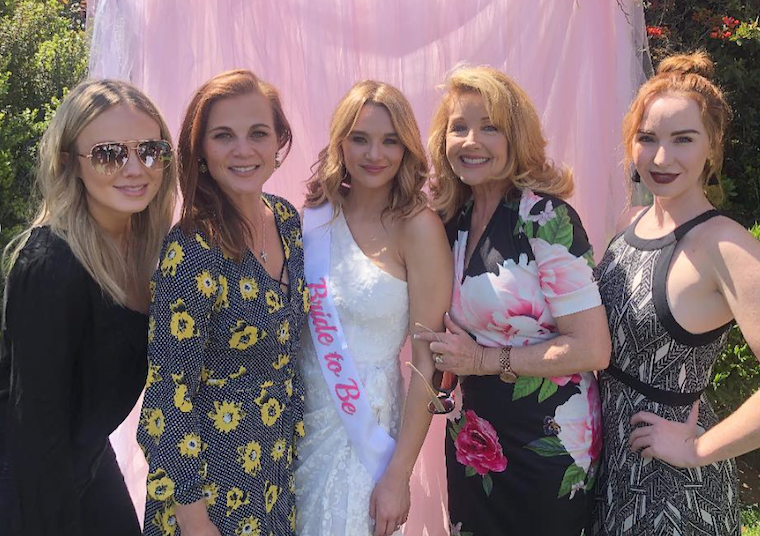 The Young and the Restless cast came out in full force to help support Hunter during her bridal shower this past weekend in Los Angeles. The beautiful blonde is currently planning her wedding to her fiancé, camera man Nico Svoboda. Clearly these two love each other very much! It’s great to see so many soap stars having a close connection with their co-stars, even while they aren’t working. Hunter recently told Soaps in Depth that she’s not looking to have a Hollywood-style wedding. Instead, it’s going to be a low-key affair with only a few of her closet friends and family members. We are pretty sure that some of those friends will include her soap co-stars and of course, her television mother, Gina. We can’t wait to see Hunter in her bridal dress. It’s without a doubt that this is a very exciting time in her life right now.